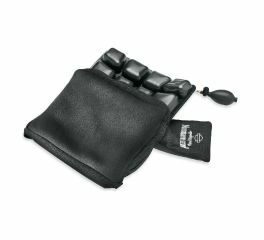 Harley-Davidson motorcycle seat pads can extend the hours you spend in the saddle; motorcycle seat covers will shelter your bike's seat from the storm. 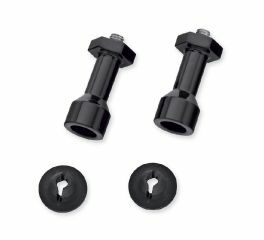 These gloss black Seat Mounting Nuts take the hassle out of removing your two-piece seat and complete the blacked out look. 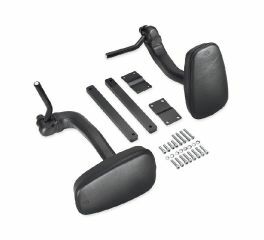 Get the low lean minimalistic garage built look when you want it. 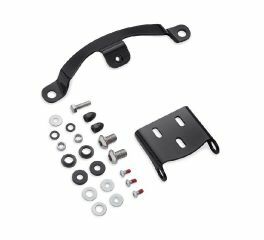 Designed for installation in conjunction with the Spring Saddle Installation Kit P/N 52100029, this kit lets you swap the beehive springs with short post mounts for a truly slammed look. 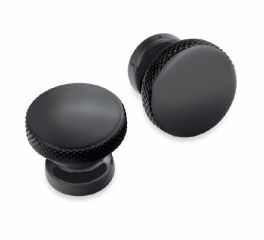 Achieve the optimum balance of style and function. 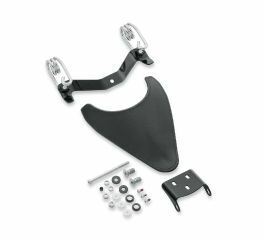 Required when fitting a Spring Solo Saddle on ’18-later Street Bob® and Softail® Slim models, this kit includes everything needed for a simple bolt-on installation. 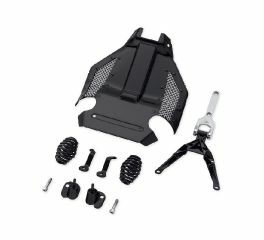 Features beehive style springs that maximize seat travel while maintaining a low profile, a custom formed steel under-seat cover, a polished stainless steel hinge, and all necessary hardware. 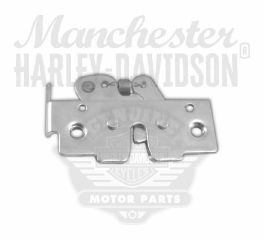 This Quick-Release Hardware Kit allows the rider to remove one-piece Harley-Davidson® seats quickly and easily. Experience ultimate comfort. 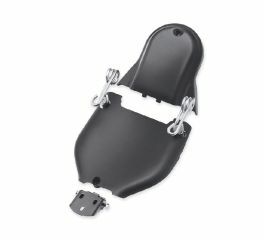 Road Zeppelin® Seat Pads are equipped with a unique air bladder system that allows your weight to be supported evenly across the entire seating surface, ensuring hours of comfort in the saddle. 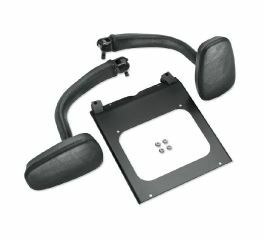 Whether you have a low profile seat or a larger more comfortable seat, you will feel the benefits. 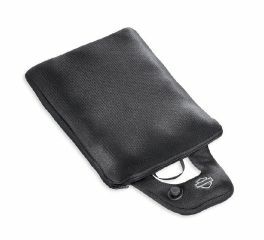 Pad length - 12.0"; width - 9.0"
If your passenger is happy, you'll be happy. 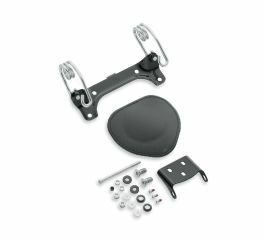 Premium passenger armrests have been ergonomically designed to provide the ultimate in passenger comfort. Eliminates the passenger's “what do I do with my hands" dilemma. If your passenger is happy, you'll be happy! 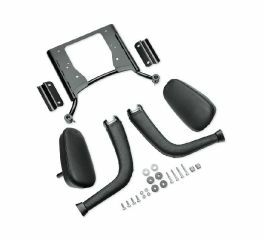 Premium passenger armrests have been ergonomically designed to provide the ultimate in passenger comfort. 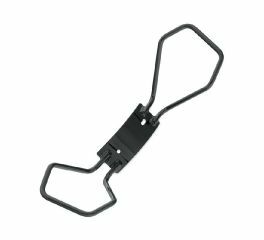 The torsion-style springs are designed for the optimum balance between spring suspension and support. 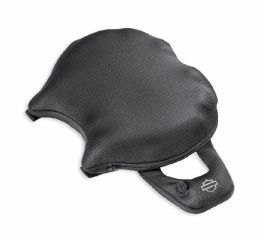 The Road Zeppelin® Passenger Pillion Pad ensures hours of comfort for the and passenger. 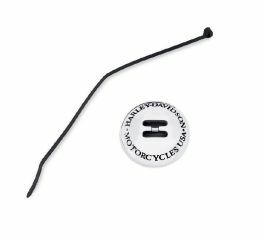 Stylish Harley-Davidson® conchos can customize anything, from saddlebags and seats to tank pouches and tool bags. 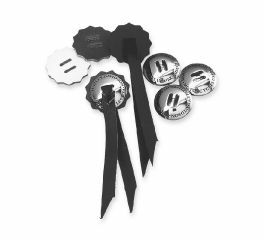 Includes Rosette & Lacing Strap. 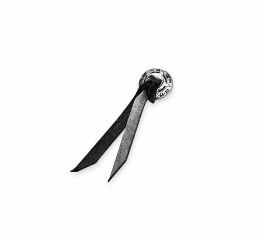 Conchos to help customize anything from saddlebags and seats to tank pouches and tool bags. 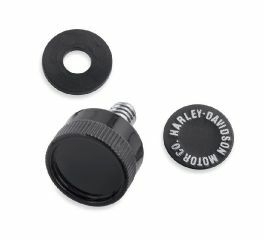 Available in black, these leather accents can be used when attaching H-D® custom conchos. 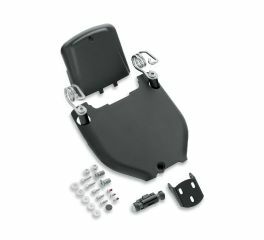 Add comfort and confidence for your riding companion or a secure tie-down point for pillion-mounted touring luggage.